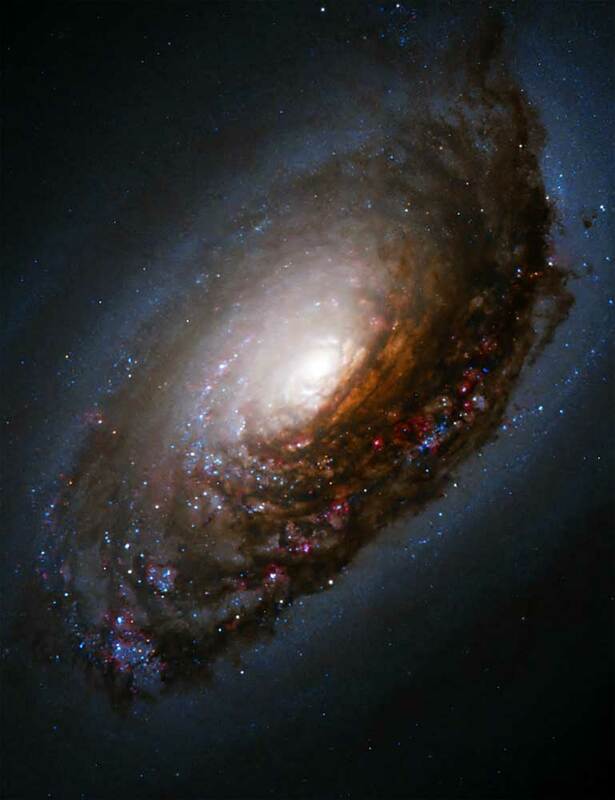 This image of M64 was taken with Hubble's Wide Field Planetary Camera 2 (WFPC2). The color image is a composite prepared by the Hubble Heritage Team from pictures taken through four different color filters. These filters isolate blue and near-infrared light, along with red light emitted by hydrogen atoms and green light from Str�mgren y.